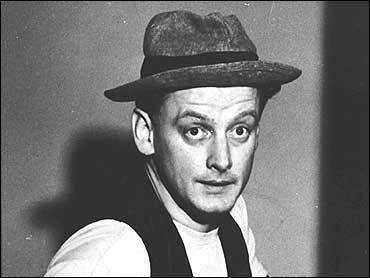 Art Carney, who played Jackie Gleason's sewer worker pal Ed Norton in the TV classic "The Honeymooners" and went on to win the 1974 Oscar for best actor in "Harry and Tonto," has died at 85, a funeral home manager says. Carney died Sunday, said Philip M. Appell of the Swan Funeral Home in Old Saybrook. Carney would be forever identified as Norton, Ralph Kramden's bowling buddy and upstairs neighbor on "The Honeymooners." The sitcom appeared in various forms from 1951 to 1956 and was revived briefly in 1971. The shows continue their popularity on cable TV and videocassettes. With his turned-up porkpie hat and unbuttoned vest over a white T-shirt, Carney's Ed Norton with his dopily exuberant "Hey, Ralphie boy!" became an ideal foil for Gleason's blustery, bullying Kramden. Carney won three Emmys for his role and his first taste of fame. In a 1986 interview, Carney said of his "Honeymooners" character, "As dumb-acting as Norton was, I thought he was pretty crafty. I think everything he had in his apartment was probably bought on time, but he had it," reports CBS News Correspondent Jerry Bowen. "The first time I saw the guy act," Gleason once said, "I knew I would have to work twice as hard for my laughs. He was funny as hell." After "The Honeymooners," Carney battled a drinking problem for several years. His behavior became erratic while co-starring with Walter Matthau in the Broadway run of Neil Simon's "The Odd Couple." He dropped out of the show and spent nearly half a year in a sanitarium. His career resumed, and in 1974 he was cast in Paul Mazurksy's "Harry and Tonto" as a 72-year-old widower who travels from New York to Chicago with his pet cat. He stopped drinking during the making of the film. When it won him his Oscar, Carney cracked to reporters: "You're looking at an actor whose price has just doubled." Carney was born into an Irish-Catholic family in Mount Vernon, N.Y., on Nov. 4, 1918, and baptized Arthur William Matthew Carney. His father was a newspaperman and publicist. After appearing in amateur theatricals and imitating radio personalities, Carney won a job in 1937 traveling with Horace Heidt's dance band, doing his impressions and singing novelty songs. "There I was, an 18-year-old mimic rooming with a blind whistler," he told People magazine in 1974. "He would order gin and grapefruit juice for us in the morning, and it was great. ... No responsibilities, no remorse. I was an alcoholic, even then." He left Heidt and tried playing standup comedy in nightclubs. He failed. But he won a job at $225 a week imitating Franklin D. Roosevelt, Winston Churchill and other world leaders on a radio show, "Report to the Nation." He was drafted into the Army in 1944 and took part in the D-Day landing at Normandy. A piece of shrapnel shattered his right leg. He was left with a leg three-quarters of an inch shorter than the other and a lifelong limp. Carney returned to radio as second banana on comedy shows, then ventured into television on "The Morey Amsterdam Show" in 1947. That brought him to the attention of Gleason. Among his movie credits: "W.W. and the Dixie Dance Kings," "The Late Show," "House Calls," "Movie Movie," "Sunburn," "Going in Style," "Roadie," "Firestarter," "The Muppets Take Manhattan" and "Last Action Hero." Carney married his high school sweetheart, Jean Myers, in 1940. After the marriage broke up, Carney married Barbara Isaac in 1966. They divorced 10 years later, and in 1980 he and his first wife remarried. "We always kept in touch because of our three children," he said in a 1980 AP interview. "After our second divorces, it was sort of like the puppy coming home: `Oh, it's you, come on in.' We decided to give it a go again."